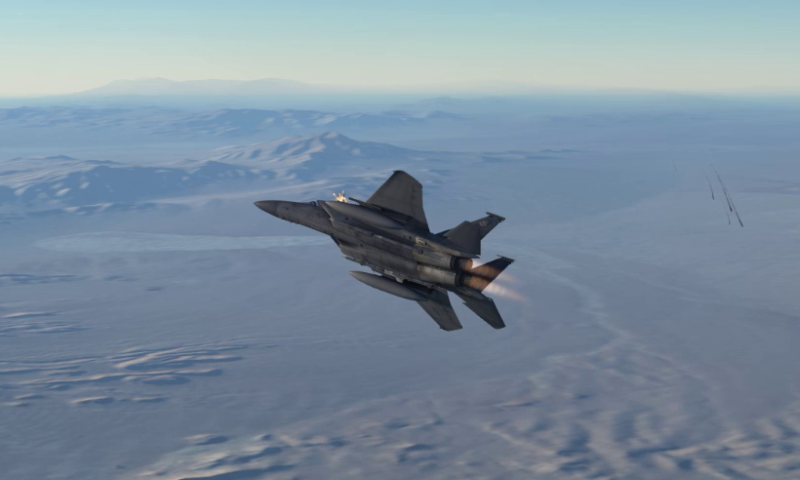 In DCS World, air-to-air TACAN is commonly used for rejoining with an AI tanker aircraft, but here is how to use the system to locate other human-piloted A-10C aircraft. Special thanks to Wrecking Crew and Localmax for helping me research this article. The TACAN (Tactical Air Navigation) system is a radio system used by US military aircraft for precise navigation. 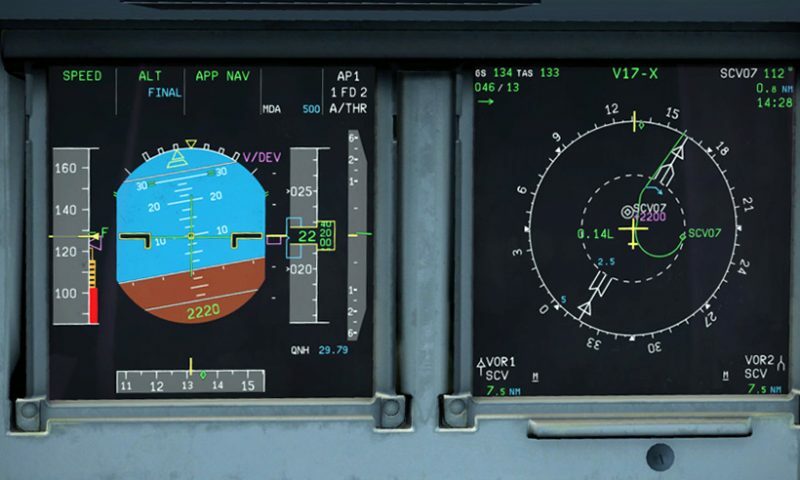 Similar to the VOR (Very High Frequency Omnidirectional Range)/DME (Distance Measuring Equipment) system used by commercial aircraft all over the world, TACAN enables properly equipped systems to determine range and bearing to radio transmitters, facilitating all sorts of navigation tricks – runway approaches, position determination, or even point-to-point route following. In addition to being able to navigate relative to ground stations (a topic for another time), TACAN has an air-to-air implementation where aircraft can get bearing and/or range information from other aircraft. In DCS: A-10C, this is popularly used for finding that pesky and often uncooperative AI tanker, but not many folks know that this system can also be used to get range between other human-piloted A-10Cs. 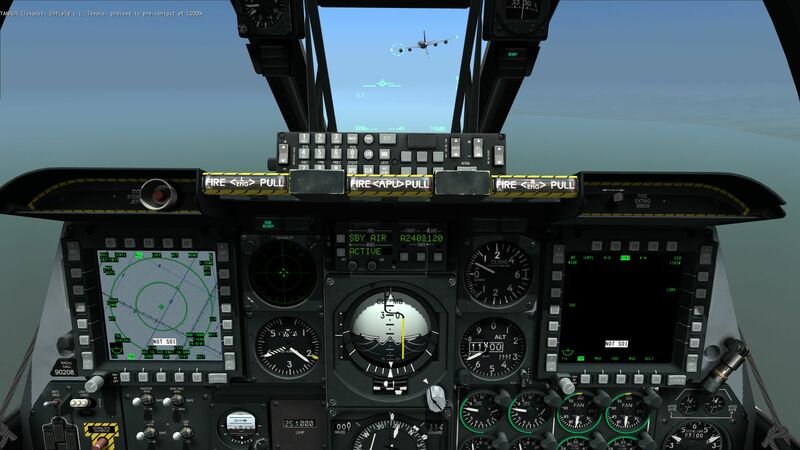 Aerial refueling is the most common use of air-to-air TACAN in DCS World. Knowing the bearing and range to a target aircraft, like a tanker, can be really useful, but the equipment used to enable precise bearing determination is bulky and heavy (set of rotating antennas within rotating antennas), so it’s not typically included on smaller aircraft, like the A-10C. TACANs tuned to these aircraft will be able to get range information only, not bearing. 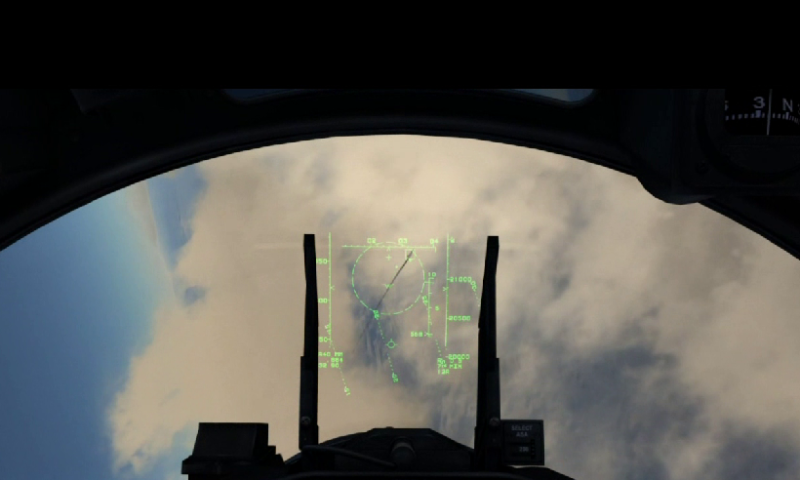 Knowing the distance to a target aircraft can still be useful, however, such as in low or no visibility conditions, night, or when trying to recover a hopelessly lost wingman. It’s an actual tactical maneuver that even has its own brevity code: “yardstick” refers to the use of the air-to-air TACAN mode. With air-to-air TACAN, a flight of two or more can takeoff in instrument conditions and maintain flight integrity without ever seeing each other. When trying to recover a lost wingman (by definition, Lead is never lost! ), a steady eye on the range window will indicate whether the aircraft are closing or getting father apart. While tools like the TADL and *ahem* F-10 map view reduce the utility of air-to-air TACAN to most virtual pilots, this is another well-modeled system in DCS A-10C that can be put to good use if you know how to use it. 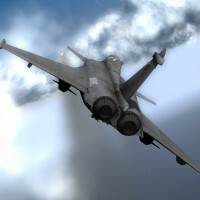 When placing a tanker in a DCS World mission, the mission designer sets the tanker’s TACAN channel that pilots can tune in to get bearing and range info, but there’s no corresponding setting for player aircraft. This is because the radios in the aircraft need to be configured directly. The process is relatively easy, but I’ll warn you ahead of time – there’s a little math involved. 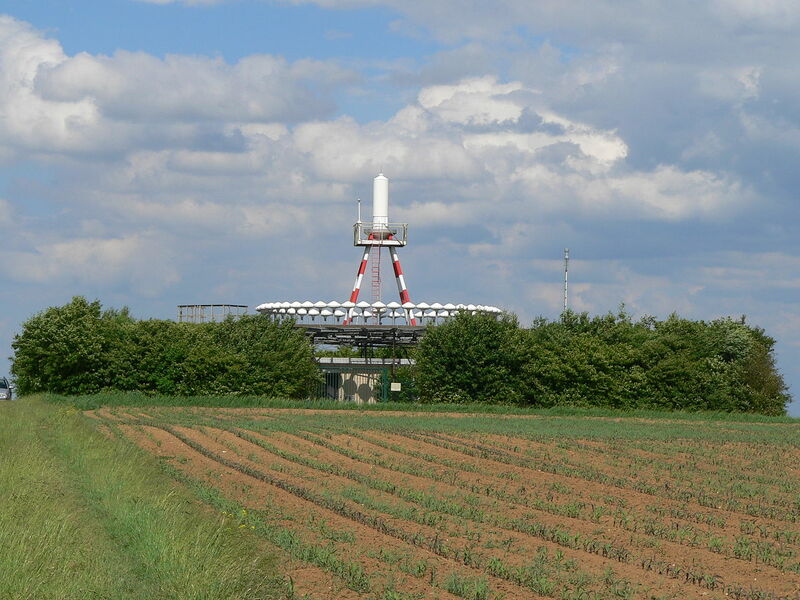 A transmitting air-to-air TACAN station can support a number of receiving stations. One pilot in the flight needs to be volunteered as the transmitter (typically the flight or element lead) and selects a TACAN channel (from 1X-126X and 1Y-126Y) to operate on (actually, the transmitting aircraft should pick a channel between 1 and 63, but more on that later). The X and Y sets of channels represent different sets of frequencies so that similarly numbered channels – like 29X and 29Y – don’t clobber each other. You will want to select a TACAN channel that isn’t being used by other aircraft or ground stations nearby or you might cause a bit of confusion. To work as an air-to-air ranging system, the TACAN mode must to be set to air-to-air transmit receive (A/A T/R). Note: TACAN channels overlap VOR and ILS frequencies. In a real world environment, you’d need to know which channels are safe to use in your intended operating area, but I don’t believe this level of cross-stomp is currently modeled in DCS World, so stomp away! Now that the transmitting radio is set, the receiver aircraft need to set their radios, but there’s a catch – if the receiving aircraft sets their TACAN to the same frequency as the transmitting aircraft, then the two radios will be transmitting on the same frequency. This is good for saturating that frequency with noise, but not so much for figuring out range. The trick to know here is that when you set a TACAN channel, you’re actually setting two different frequencies: a transmit frequency specific to that channel and a receive frequency that’s 63 MHz higher. TACAN channels are spaced by 1 MHz between channels, so setting a radio to a channel 63 higher than the transmitting aircraft (77X in our example) will mean you’re tuned to that’s aircraft TACAN transmissions. This is why the transmitting aircraft should be a channel between 1 and 63, so the receivers can tune to 64-126. The channel selected needs to be the same X or Y, as these represent completely different frequency sets, and the same TACAN mode (A/A T/R) needs to be selected to enable range calculation. 3) Select TACAN on the NMSP under the HSI, ASAP! 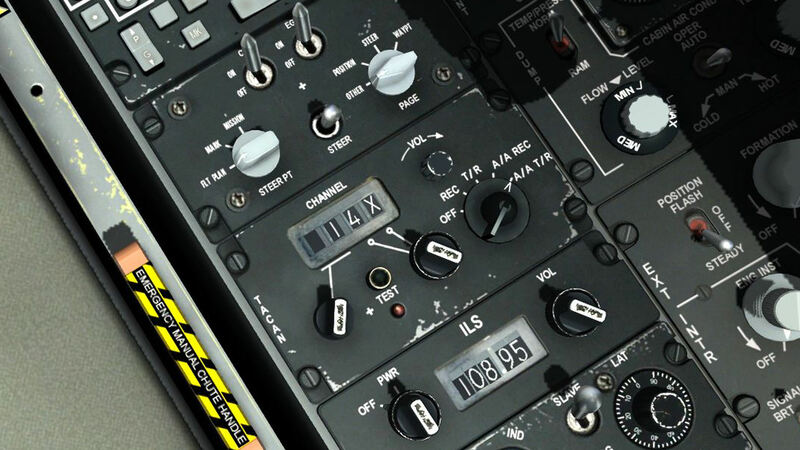 Now that the radios are tuned, the range information needs to be displayed to the pilot to be of any use. Press the TCN button on the Navigation Mode Select Panel (NMSP) located at the bottom center of the front console, just under the HSI. If you did things right, the number 1 bearing needle will start spinning around at a brisk pace, indicating there’s no valid bearing data, and the range indicator will spin up to show the calculated range to the transmitting station. If you’re following the bouncing radio waves at home you might have noticed that while the receiver aircraft are happily ranging away with the transmitting aircraft, the transmitting system is getting clobbered by all those incoming radio signals. Which range do you display when you’ve got two or more signals coming in? The TACAN solves this by focusing only on the strongest TACAN signal which, for all intents and purposes in this sim, is the closest aircraft. This is the main reason why it’s usually best for lead to be the transmitter and wingmen to be the receiver aircraft. TACAN ranging works by sending precisely timed pulses back and forth to each other, so if you leave it on while entering enemy territory, you are broadcasting your position to them. Remember to turn off the TACAN, or at least switch to receive (REC) mode when fencing in. I’m not sure if the AI in DCS World are able to pick up on these transmissions, but it’s a good habit to get into fencing your TACAN off. 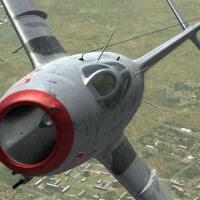 There are a number of techniques that can be used with the air-to-air TACAN and I’ll leave it to the reader to find what works for them, but, personally, I like to use it maintain separation in poor visibility conditions and to maintain spacing in large tactical formations (e.g., 1 nautical mile spacing). Obviously, this doesn’t work while in combat, but helps me stay more-or-less in position when flying on our side of the FLOT. Very useful article. Thanks a lot! Good article, those interested the 476th vFG released this guide to the public on the same subject a few years back (wow, just looked and it was 2.5 years ago. Time fly’s when your blowing up stuff in DCS). Newsletter – Don’t Miss a Thing!